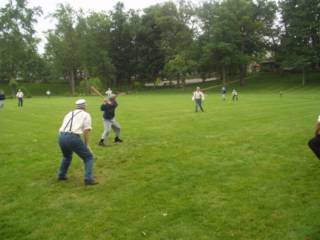 The “Blue Laws” team from Winona Lake beat a Warsaw team 16-7 in this game played Saturday on Tabernacle Field in Winona Lake. Uniforms, rules and procedures are quaint replicas of the games played in the 1860s. Huzzah!